At National Pro Shop and The Edge Paintball Adventures, we strive to bring the best products and experiences to our community. Our shop is fully stocked with great equipment at solid prices, often times beating many online retailers. There is one thing about our shop that many may not take into consideration when browsing our product assortment. There are several products we do not carry. This is because at National Pro Shop, we don’t sell anything we wouldn’t shoot, wear, or use ourselves. We get product that we can stand confidently behind, knowing that the players will be playing to the best of their ability, with solid and reliable equipment. With paintball, like with cars or many other items, equipment will go down at some point. We’ve got you covered on that. 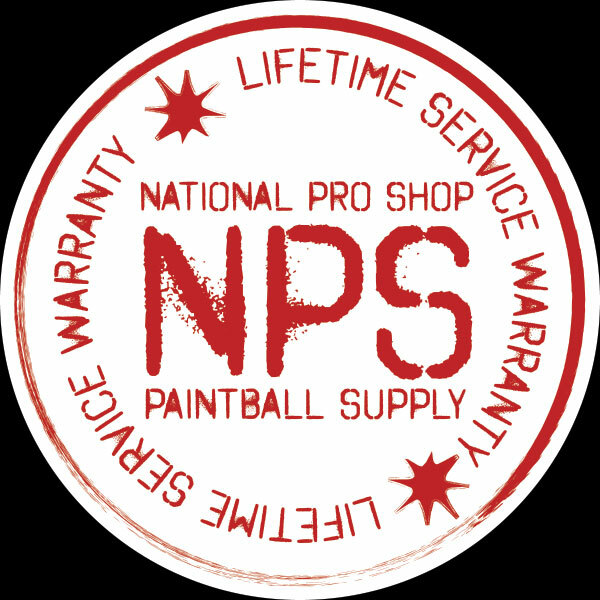 To display our gratitude in supporting your local paintball community, we include a Lifetime Service Warranty on all new and many used markers that we sell. What this means to you: if you buy your equipment from us, and it goes down, you will not be charged that minimum service fee of $30 on mechanical markers and $40 on electronic markers, just for us to look at it. We love our paintball community, and appreciate all of our customers. We look forward to seeing what 2014 has in store for us.